Ground radurised white pepper (90%), ground radurised black pepper. This product was manufactured in a factory that processes: wheat gluten, cow's milk, egg and soya. 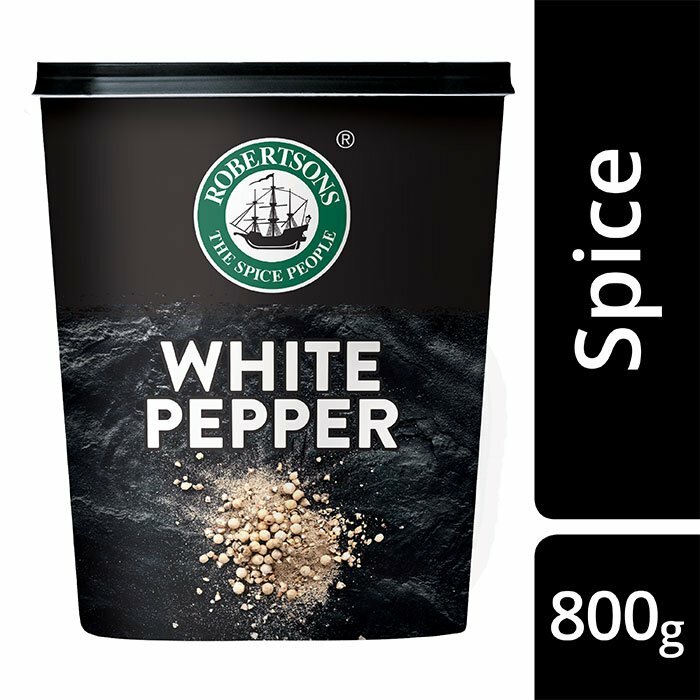 The flavour of Robertsons White pepper is characteristically hot and is particularly useful when making cream or milk-based soups and sauces as it will not change colour.